Meet Regional WRADvocate Debbie Dadey! Debbie Dadey is the author and co-author of 152 books, including The Adventures of the Bailey School Kids series and the new series, Mermaid Tales. 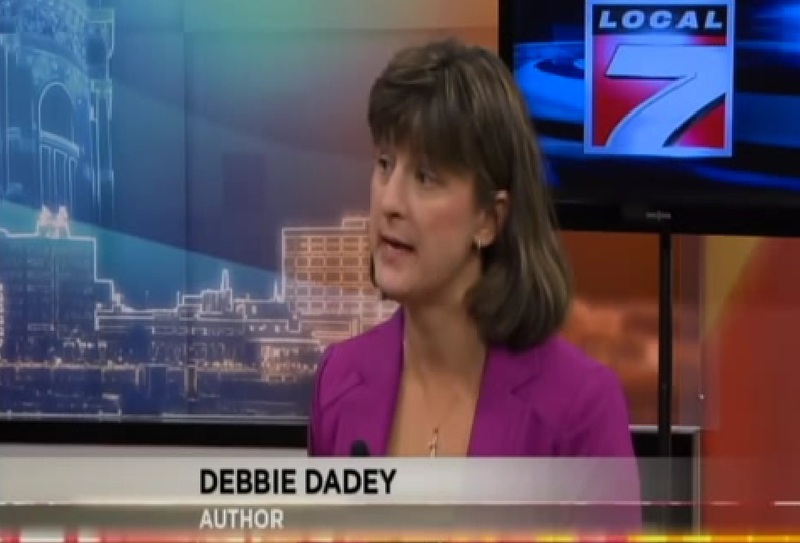 On a recent trip to Kentucky Debbie made an appearance on a TV talk show to promote World Read Aloud Day! Watch her full interview here. "I know the power and the joy that reading aloud brings. The power is that reading aloud creates a love of literature, exposure to extensive vocabulary, and growth in comprehension. I don't remember a single worksheet that my fourth grade teacher gave me, but I remember her reading The Little House on the Prarirre series. Besides getting spanked for talking too much, that's about all I remember." On March 6 Debbie will be reading aloud to classrooms over Skype, and visiting a local school in Warminster, Pennsylvania to share stories with classrooms of excited children! Get to know Debbie, follow her on Twitter, @DebbieDadey, and visit her at debbiedadey.com. Newer PostCelebrating World Read Aloud Day in Kisumu's Millennium Cities! Older PostHip Hip Hooray for the Magical Crow Bookshop!